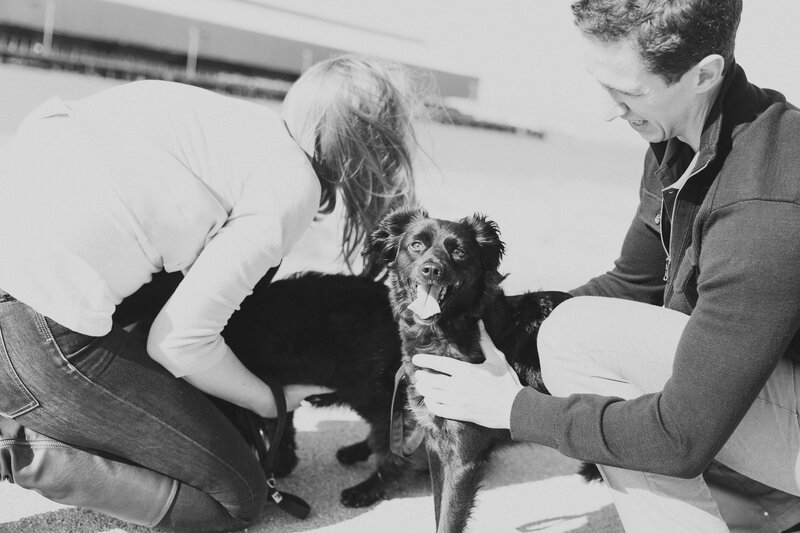 Previously, we discussed how to begin to build a recall with your dog. While for many dogs those steps help to build a reliable recall, some dogs are more easily distracted and will need some additional work to help further proof this behavior. Nothing beats the guidance of a one-on-one trainer, but below you will find some skills to practice to help build motivation for the recall. Practicing a ‘restrained recall’ is often something you seen done in dog sport work from everything to flyball to bite sports. This concept requires two handlers and uses restraint to build frustration and drive for the dog to speed back to their handler. A second handler, not the person doing the recall, should restrain the dog via holding their collar/harness, around the chest, or whatever way the dog is most comfortable being held. The first handler (the person who is going to be recalling the dog) should approach the restrained dog and tease them a little with a motivator they really love – if your dog will tug play, this is a great option because it makes the reward very interactive. Have the first handler run away from the dog, and when the dog is extremely excited, have the first handler call “come” and the second handler release the dog. When the dog reaches the first handler, the dog is given their reward enthusiastically to help encourage interaction with their handler upon their return. This exercise helps to build drive to want to return to the handler and creates great intensity during the recall. Another great option (when done under the supervision of an experience trainer) is conditioning a recall with a remote collar. 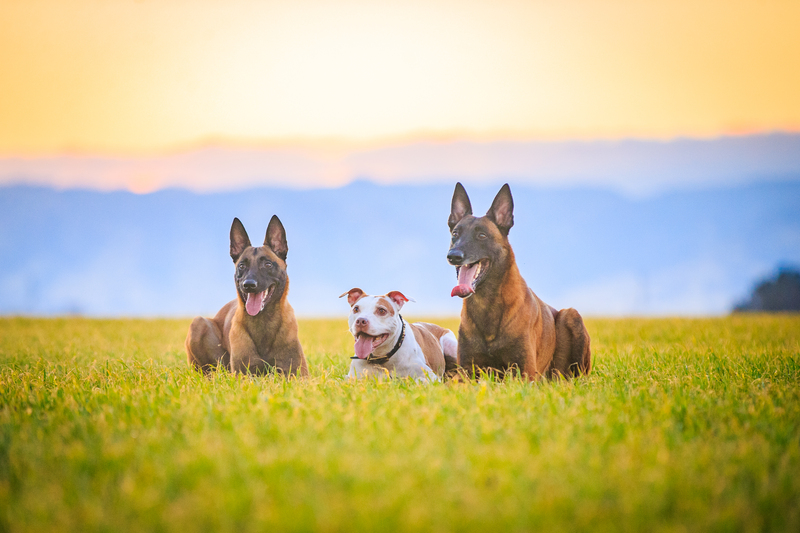 These collars very often have a bad reputation like many other training devices, however, when used correctly, they can help build a very reliable recall and give the owner more security when letting their dog off leash. Conditioning a dog to a remote requires finding a low level of stimulation that the dog notices, and pairing that stimulation with the recall word along with some long line training while the dog begins to understand this concept. The remote collar acts as an attention getter (like a tap on the shoulder) to help the dog learn how to redirect their attention back to their person when under high levels of distraction. Not only is it important to work the recall specifically, but it is also important to build the dog’s engagement when the leash is on. If you let your dog run wild every time they are off the leash, it becomes very hard for them to re-engage and focus enough to work the recall. Teaching your dog how to work with you at the park by training other obedience there with the leash off or dragging will also increase attention on you so they do not think being off leash means they can have a free for all. Keep in mind that an unreliable recall can be extremely dangerous for your dog. This is a skill that is very important to fine tune, and if your dog is struggling with grasping this concept, it is necessary to keep them on a line until you have proofed the behavior. Seeking help from an experienced trainer who is able to help you use a variety of tools to instill a solid recall is always a good idea! If you enjoyed this post, you should read Personal Story: The Adventures Of Little Big Mouth here. Read more about Marie from our About Us page!